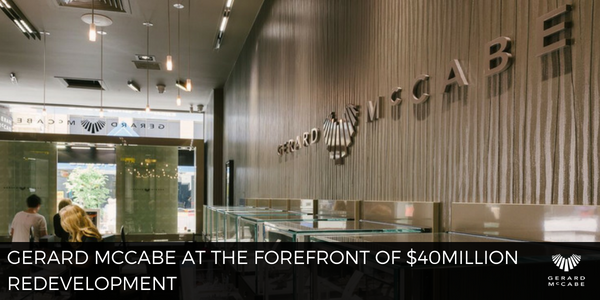 Our Gerard McCabe Rundle Mall boutique, is lucky enough to be at the forefront of the brand new Rundle Mall Plaza redevelopment. The $40million project is set to incorporate many of the already established boutique stores, along with the introduction of Swedish-clothing giant H&M. With the incredible design aesthetics of the building, architects Hames Sharley are set to incorporate a modern and fresh feel to the Rundle Mall area. In keeping with the look and feel of the area, this Plaza will deliver on the ‘contextual architecture’, with careful consideration of the surroundings. Our Rundle Mall Team are excited to see the transformation take place, and are looking forward to welcoming visitors to the new precinct. We’ve taken our customer service to a new level, introducing some of our jewellery to the construction crew - Jackie. "These renovations are bringing a new light to our diamonds, which have always managed to stand out from the crowd." The redevelopment will see the lower ground floor become a “tech hub”. On the ground floor, you’ll find boutiques like Gerard McCabe, Sportsgirl, Swarovski and other speciality stores. With a dining, health and wellbeing precinct occupying floors above. It’s set to be a wonderful area, fit for exciting and new stores. “We’re all very excited to see the unveiling of this wonderful new Plaza, and the introduction of international brand H&M - Jackie. We’re still trading as normal, even during the renovations. And we’re grateful for all our wonderful customers who have visited over the past few months. 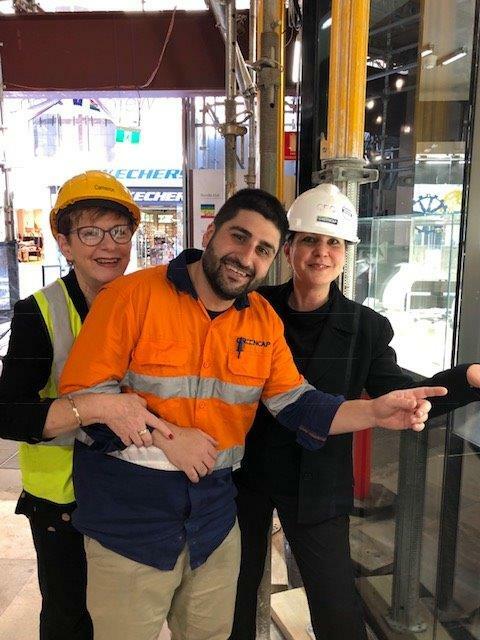 Even with the construction works, our Rundle Mall team have been putting smiles on the faces of loved ones with their engagement and wedding rings, like Renee and Aaron who picked up their Venice Engagement Ring last week. The Rundle Mall Plaza development is set to be complete by the end of the year. Welcoming 2019 with a bang for all in the Rundle Mall area! How exciting!